A lot of people, especially in the US, start their day off with a cup of coffee, but globally, the picture is quite different. Tea is by far the most popular drink of choice throughout the world by 3 times that of coffee. It’s also a much healthier alternative to many of the other more popular drink choices, such as soda, energy drinks, as well as coffee. If you’re looking to make the shift to drinking tea for health reasons or just want to learn more about the healthiest teas in the world, here’s a quick list with some reasoning why each tea is deserving of being one of the healthiest in the world. Oolong tea is a traditional Chinese tea that is made from the leaves of a common shrub, Camellia Sinensis. For the health of the drinker, oolong has powerful fat-fighting properties and is a natural detox. It fights fat by aiding the naturally-occurring enzymes in your body that break apart triglycerides, or a fat type in the blood. Another component of oolong tea, niacin, detoxifies the body; it can even help prevent and fight tooth decay! Detoxifying the body does a lot of wonders; perhaps most importantly, it’s a natural colon cleanse. Black tea is one of the most popular teas in the world, especially in the United States. Its popularity is a result of it also being one of the most caffeinated teas, which makes it a natural alternative to drinking coffee in the morning. Black tea contains two different antioxidants that have the reported ability to lower cholesterol levels. Another study showed that drinking multiple cups of this tea each day reduced stroke risk by 21%. White Tea also contains the catechin group of antioxidants, just like green tea. Thus, it has the same cancer and heart disease preventing properties. Also, white tea has a lot of other healthy characteristics that have caused some tea drinkers to label white tea the best “multi-tasker”. Also interesting, is it’s made from the same Camellia Sinensis plant that oolong tea is made from. The difference is how the tea leaves are dried and prepared, which actually unlocks different healing properties. The American Cancer Society has suggested that white tea may reduce the risk of breast cancer returning in survivors. Another popular form of tea is green tea. Similar to black tea, green tea also contains antioxidants. One group, in particular, catechins, is known to play a role in preventing some cancers and heart disease. Some avid tea drinks, backed by science, say that drinking just a single serving of green tea each morning can reduce the risk of cardiovascular disease by as much as 10%. We often joke about discovering the cure to the common cold, but what if we’ve already had the cure for years? Echinacea purpurea tea, reportedly, can fight the common cold and other maladies, like a respiratory infection. 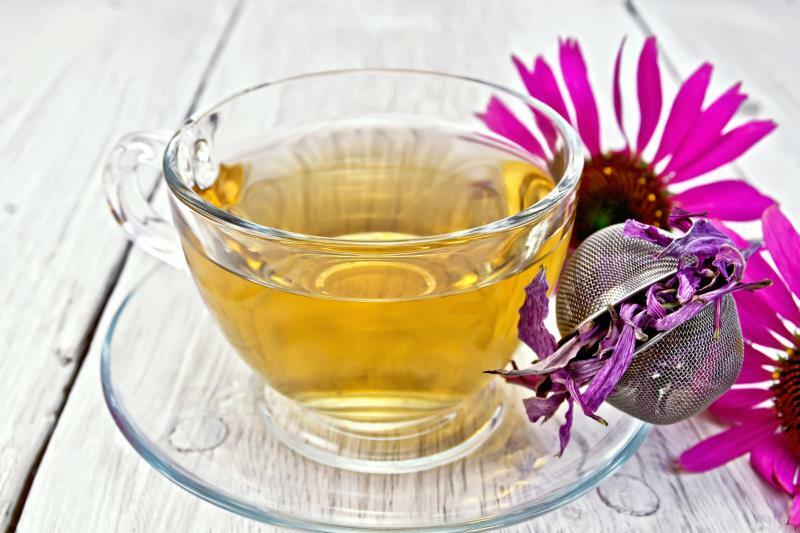 While it is popular in tea form, echinacea purpurea is also used in the production of lozenges to soothe the throat and help prevent infections and further illnesses when sick. Similar to green and black tea, chamomile is another very popular and old tea. Also similar to the other teas on this list, it has a lot of illness-fighting antioxidants. For instance, chamomile includes antioxidants that can help impede the spread of cancer cells in the body. For diabetics, this type of tea is also extra beneficial because it curbs a lot of the common side effects associated with diabetes, like loss of vision, nerve damage, kidney harm, etc. With all of the many health benefits of tea and these 6 (and many other) hyper-beneficial hot-or-cold drinks, it’s clear to see why tea is the most popular beverage choice in the world. Whether you’re looking to prevent cancer, curb the side effects of diabetes, detoxify your body or just get a morning pick me up that is healthier than coffee, there’s a tea for that.